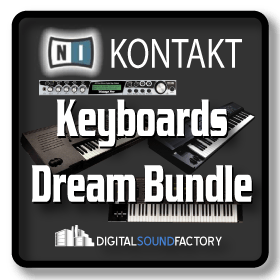 Digital Sound Factory Kontakt instruments include custom scripting and graphic user interface to allow for the ultimate control of sound parameters. 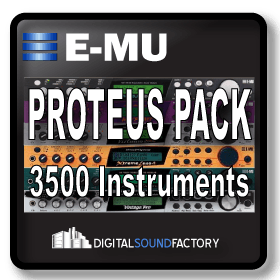 This amazing collection includes E-MU Proteus Vintage Pro, E-MU Emax, Ensoniq ZR, and Ensoniq MR Synthesizers. 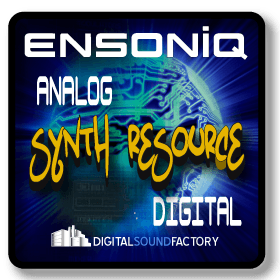 Ensoniq was founded in the early ’80s by some engineers from Commodore. Ensoniq’s first product, a software drum machine, was aimed at the home computer market. One of Ensoniq’s co founders, was responsible for designing the Commodore 64’s three-voice synth chip. 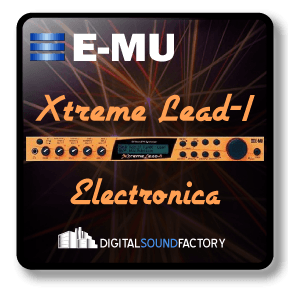 In 1982 he designed a portion of a PC that was similar to the sound synthesizer that ended up in the Amiga. It was this chip, the ‘Q chip’, that was used in the Mirage, the world’s first affordable sampler and the ESQ-1, Ensoniq’s wave table synthesizer. Later came the MR and ZR workstations. The Ensoniq ZR is a collection of multiple instruments that were included with the ZR76 keyboard. 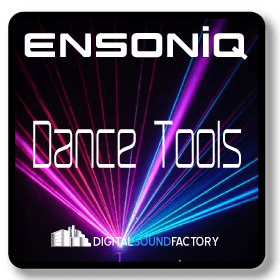 Ensoniq sound designers used the content that had been collected for the samplers. Special note – A Kawai 9ft Grand has been substituted for the Perfect Piano due to license restrictions. The Vintage Pro delivers the keyboard sounds that defined popular music in the ’60s, ’70s and ’80s in a single rackspace. From the venerable Hammond B-3 organ and Wurlitzer EP to legendary analog and digital synthesizers like the ARP 2600 and CP70, the Vintage Pro is an all-in-one, no-compromise collection of over 30 classic keyboards meticulously sampled from the finest vintage instruments available.